Of these Martyrs, Saint Claudius died when his arms and legs were severed; Saint Diodore was burned alive; Saints Victor, Victorinus, and Nicephorus were crushed to death by a large boulder; Saint Serapion was burned alive; Saint Pappias was cast into the sea. According to some accounts, they contested in Corinth under Decius in 251; according to others, in Diospolis in Egypt under Numerian in 284. 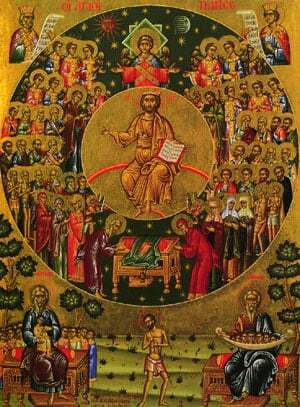 Share the feast of Monk-Martyrs Claudius, Diodore, Victor, Victorinus, and those with them with an icon greeting ecard.